An upholstered seat and back work the curves and overlap just so to create a chair that invites you to sit down and stay awhile. The channel stitch detail may not improve the aerodynamics, but it sure does looks swell. With a color coordinated powder coated steel sled base. 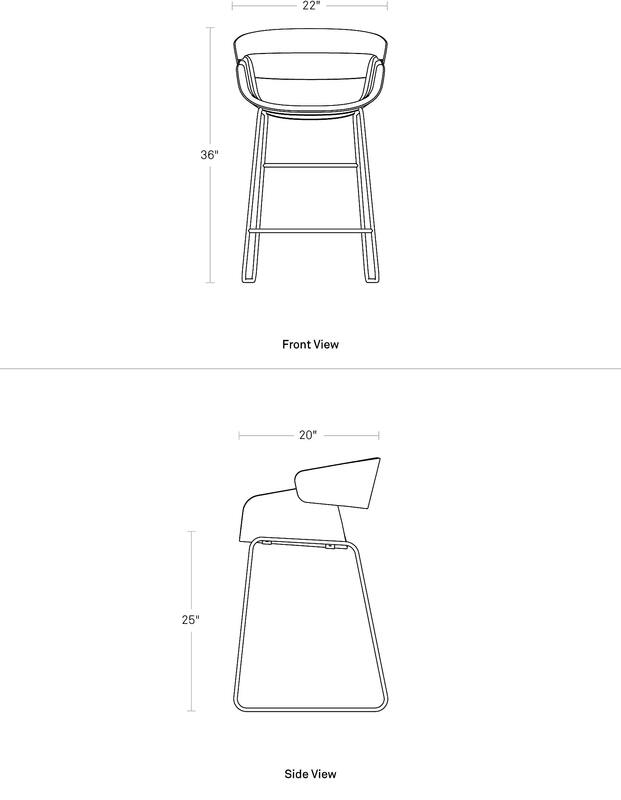 Available in barstool, counter stool and dining chair.